First of all, I am very sorry for being away from blog since long. Past few months were really hectic for me and i couldn't make it get on blog. Blog usually consumes more time, since i not only post the recipe but also post some basic information about the recipe and the ingredients along with it's health benefits, history and other information. This usually takes much of time. The past few months have been really tough since I had to shuttle between too many things and had many responsibilities to handle and also had few ups and down in my personal life. But I am happy that I learnt from them and looking ahead to face much more challanges. India is often called the land of curry or land of chutney by westerns. No doubt, it is really a land of curries and chutneys and no place can beat India when it comes to its delicious authentic taste. 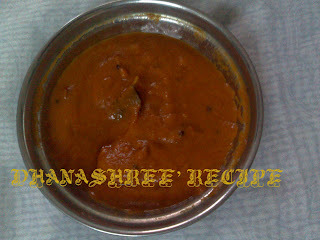 There are different types of chutneys which is cooked since ages here and it comes from different parts of our country. Like Tamil Nadu is famous for the coconut chutney, Maharashtra is famous for the garlic chutney, Rajasthan and Gujrat is known for its green chutney , Delhi is known for its Tamarind chutney and so on. These chutneys give a totally different taste our food but be sure to use the right chutney for the right dish. I will definately post a detailed note on chutneys of india in my coming days. 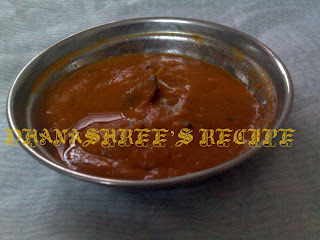 But today, am going to post a delicious onion chutney which is quite famous in the southern parts of Tamil Nadu. Most of you must have noticed the reddish chutney served as side dish on the platter along with Dosas and Idlis. This is the same chutney which is seen on the platter. The recipe for Onion chutney is quite simple and can be easily prepared by even a not so good at cooking person. It can be stored in refrigerator for 2 days and used ( heat it before using) as and when required. Chop the onions and tomatoes into big pieces and keep ready. Take a non stick pan or a deep bottom Kadai. Add 1 teaspoon of oil and add fenugreek seeds and urad dal to it and saute till it turns pinkish. Now saute the onions, tomatoes, garlic and whole dry red chillies without adding further oil till the onions turn soft and transperant. Remove it from fire once the onions turn transparent and the tomatoes turn soft. Cool it for few minutes. Add this cooled mixture in a blender and blend it till it becomes a soft puree and set aside. Keep a kadai over flame and add a teaspoon of oil to it. Heat it for few seconds. Add the mustard seeds and allow it to crackle. Add the asafoetida, curry leaves and the dry red chillies and saute for few seconds. Now add the blended puree and saute it well. Add salt to taste. Cook this chutney for 7-8 minutes on medium fire and keep stirring often. 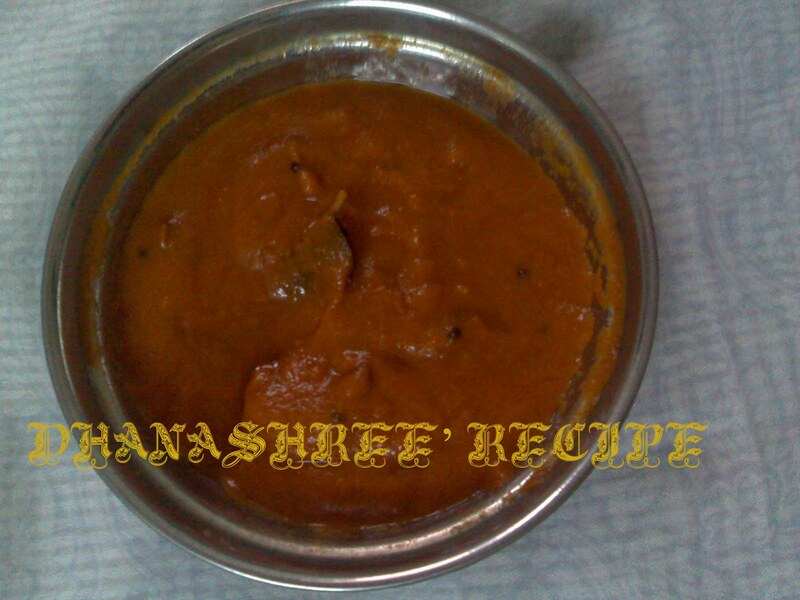 Remove and serve hot with Rawa dosa or Methi Dosa. Serves : 4 -6 persons. Shelflife: 2 days if refrigerated properly. Serving Suggestion: Serve hot with Rawa Dosa or Methi Dosa. Choose big pinkish onions for this chutney. Pick soft red fresh tomatoes for good taste. Dont add more than 5-6 fenugreek seeds or else it might turn sour in taste. Click here to learn and know more about Tamil Nadu recipes and cuisines - An Introduction To Tamil Nadu Recipes And Cuisines.